CALGARY - Encana Corp. has agreed to buy Athlon Energy in a US$7.1 billion friendly takeover deal that will give the Canadian gas producer access to a major Texas oil play and speed up its shift towards more liquids production. "This transformative acquisition further accelerates our strategy and provides us with a prime position in what is widely acknowledged as one of North America's top oil plays," Doug Suttles, Encana president and CEO, said in a statement Monday. "We're delivering on the portfolio promises we made for 2017, today," Suttles said. 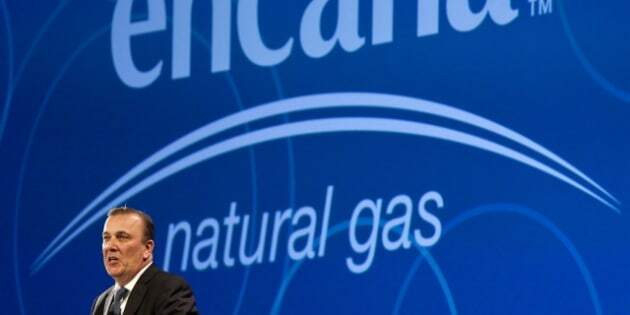 Encana has scheduled a conference call with media and analysts to discuss the deal, which has the support of Athlon's board of directors. The Calgary-based company, which has been shifting its production to oil and gas liquids amid persistently low prices for natural gas, will pay nearly US$6 billion in cash and assume about US$1.15 billion of Athlon's debt. Athlon's shareholders are being offered US$58.50 per share cash, for a total of US$5.93 billion. Athlon shares closed Friday at US$46.73 on the New York Stock Exchange. Encana's closed at C$23.59 on the Toronto Stock Exchange. "With Encana's exceptional resources and the collective expertise of both teams, the next phase will accelerate development and ultimately realize the full potential of the deep inventory of premier projects," Bob Reeves, Athlon's chairman, president and chief executive, said in a joint statement. Encana says the Athlon transaction will add the equivalent of about 30,000 barrels of oil per day of production focused in the Midland Basin, part of the Permian formation. The company now expects to generate 75 per cent of its operating cash flow from liquids production by next year, two years sooner than its its initial target of 2017. Encana says there's potential to recover the equivalent of about three billion barrels over time. The company intends to invest at least US$1 billion in the play and ramp up production to at least seven horizontal rigs by the end of 2015. "Our portfolio now aligns with our vision of being a leading North American resource play company. Our growth areas now include the top two resource plays in Canada, the Montney and Duvernay, and the top two resource plays in the United States, the Eagle Ford and the Permian," Suttles said. Last week, Encana sold its remaining stake in PrairieSky Royalty Ltd. for about $2.6 billion to a syndicate of underwriters. PrairieSky has major holdings in Western Canada that were spun off from Encana through an initial public offering in May.